The Zentrepreneur Symposium Series is a weekly four-part program created by serial entrepreneur and Silicon Valley executive, Toby Corey (Tesla, SolarCity, USWeb) in partnership with the Baskin School of Engineering and Santa Cruz Works. 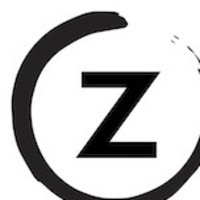 The symposium is based on Zentrepreneur.Life, a platform to inspire, educate, and guide a new generation of entrepreneurs, social & environmental warriors, and creative spirits to challenge the status quo by thinking creatively. The series is led by Toby Corey and features guest speakers from the world of business, industry, and education including Blue Mind author and science entrepreneur Wallace "J" Nichols; marketing/startup/traveler guru Theresa Lina Stevens; Advanced Microgrid Solutions founder/ceo and Arnold Schwarzenegger chief of staff Susan Kennedy; and Lyndon Rive, co-founder of SolarCity. Refreshments – and pizza – served. Admission is free for students; $10 for community members. Speaker: Theresa Lina Stevens, founder and president of Lina Group, Inc. Personally, I was dissapointed by "The Zentrepreneur Symposium".. Although a few questions were asked about what these busy executives do to maintain a Zen lifestyle (and a Zen atmosphere in their work environments) -- no such information was actually provided. In fact, the answers given by the executives made it seem as though they have no time for meditation, regular exercise, spiritual pursuits, family, or anything else of REAL value. Based on their own descriptions, these executives seem to be far removed from any experience of of peace and joy. In fact, it sounded to me as if these executives have sold their souls, in exchange for power and prosperity. With this in mind, I think that the name of the event should have been changed to something other than "The Zentrepreneur Symposium". As a Zen student myself, I'm interested in this Zentrepreneur series. Since forms and rituals are important in most schools of Zen, I was wondering which of the speakers will touch on forms and rituals as part of their entrepreneurial experience? Also, which of these forums will touch most on renunciation and the causes of suffering in entrepreneurship? Or will you be adding any speakers who have actually trained in Zen practice? I didn't see Zen practice touched on in any of the biographies. Surely Zentrepreneur.Life doesn't simply co-opt a formal cultural, religious and spiritual tradition, just for the snazzy name -- I'm most interested in the intersections of Zen and entrepreneurship, so please let me know! Thank you!